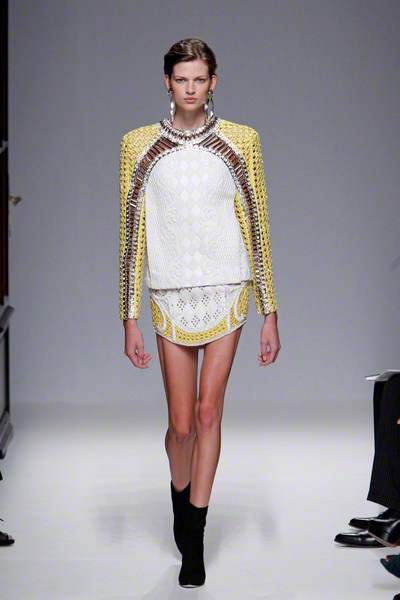 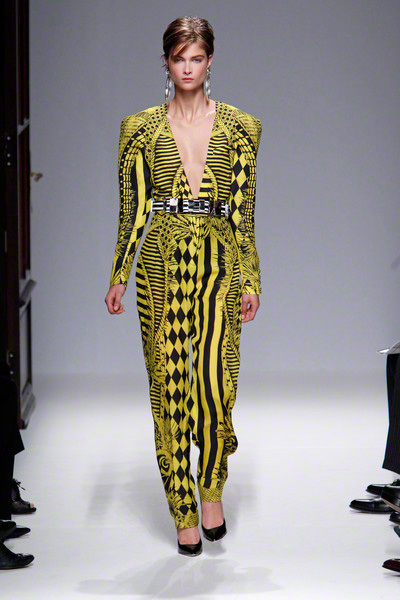 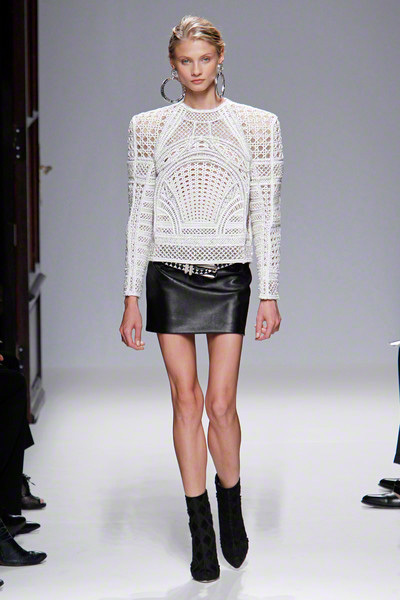 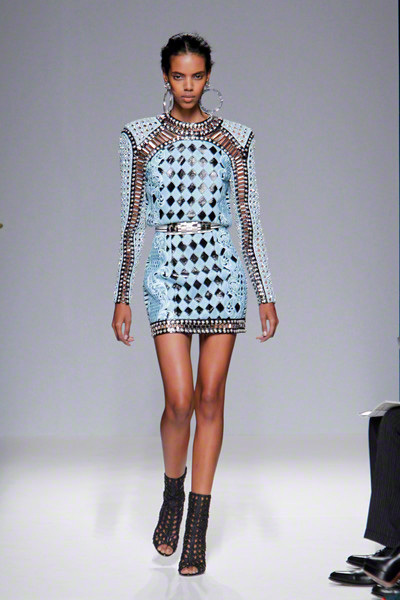 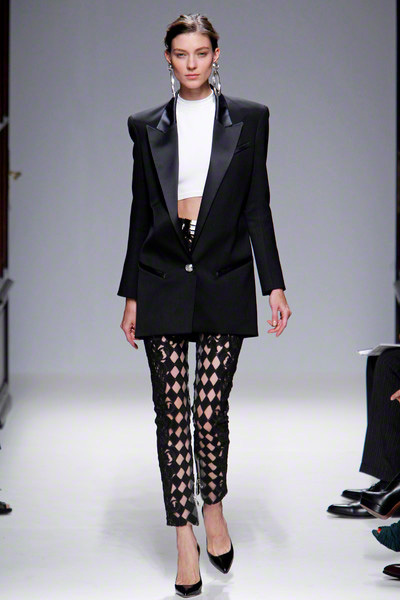 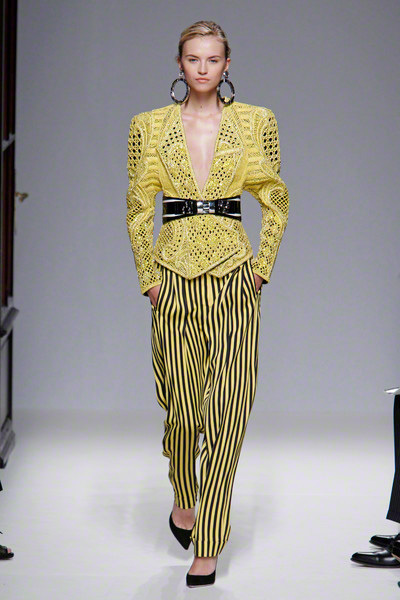 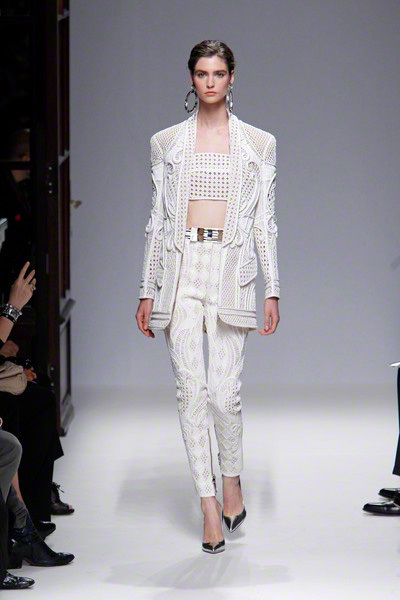 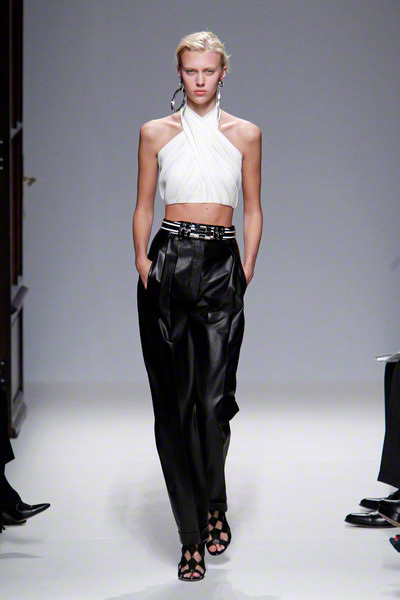 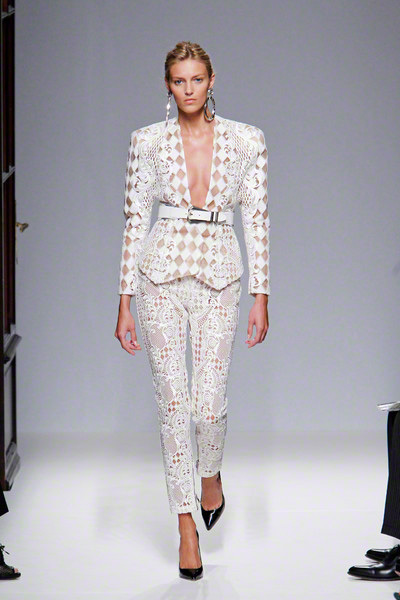 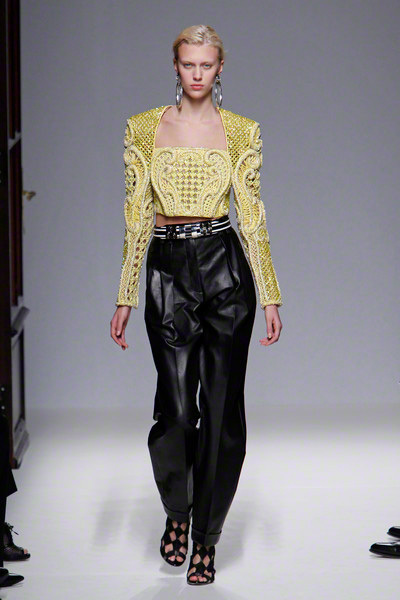 Inspired by Cuba Olivier Rousteing used quite some Latin influences for his spring collection. 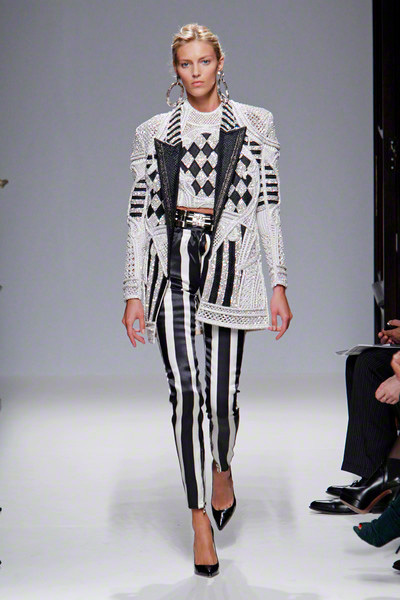 Harlequin motifs represented it’s black and white tile floors and beautifully woven raffia dresses resembled Cuban wicker chairs. 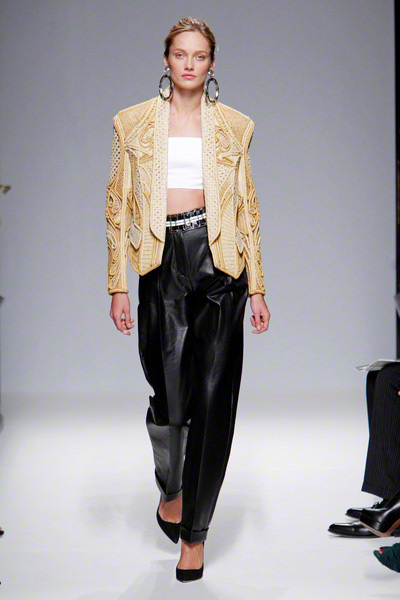 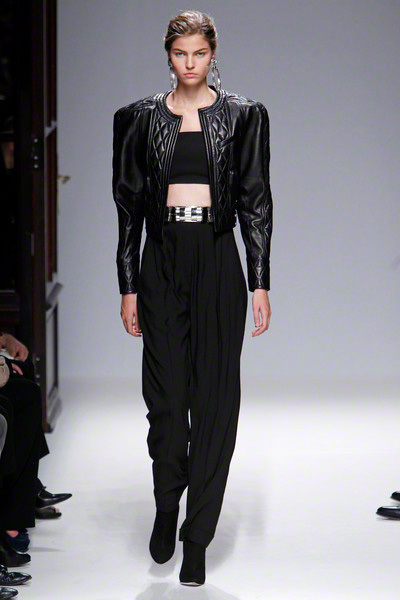 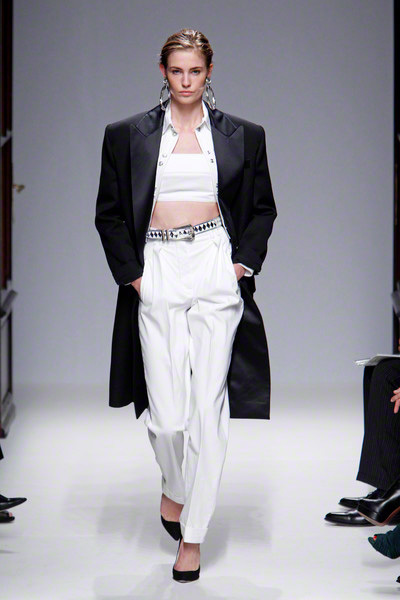 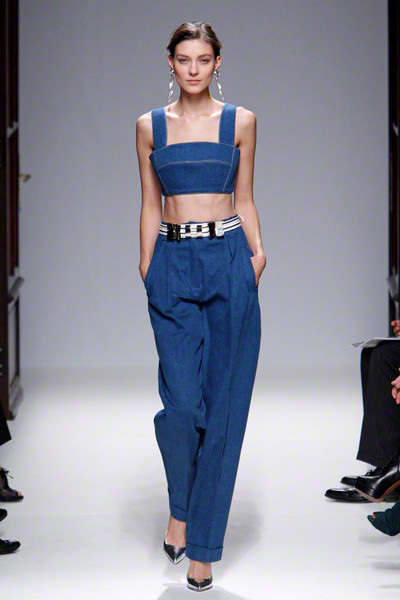 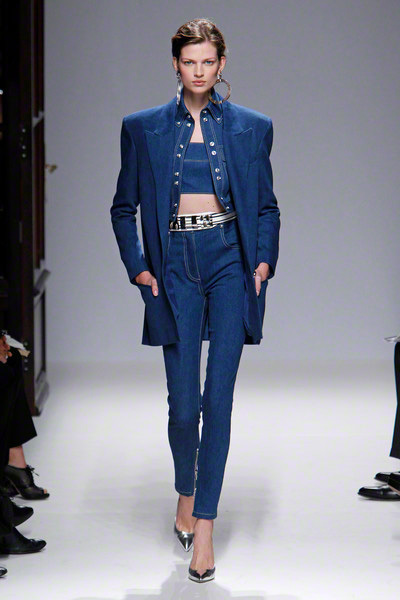 He used these influences and gave the collection as a whole a early nineties twist. 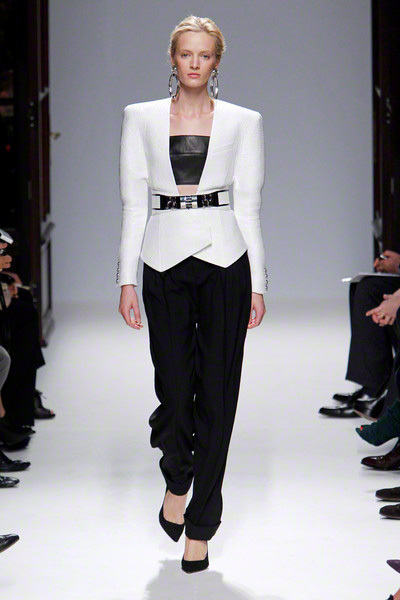 Power dressing. 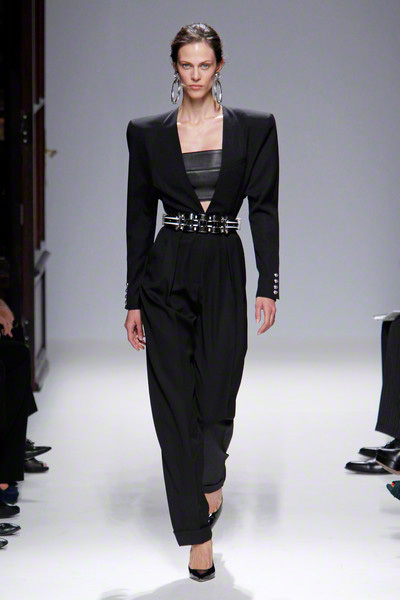 Boxy jackets and heavily shouldered dresses made the tiny framed models indeed look powerful, yet sometimes the fit seemed a bit off. 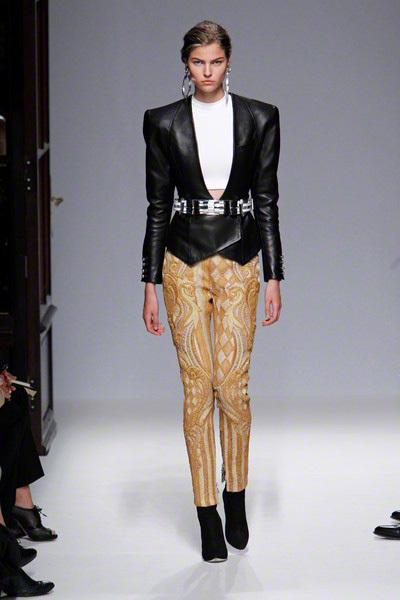 In between the handcrafted embroidered looks a few simpler denim and leather looks popped up too. 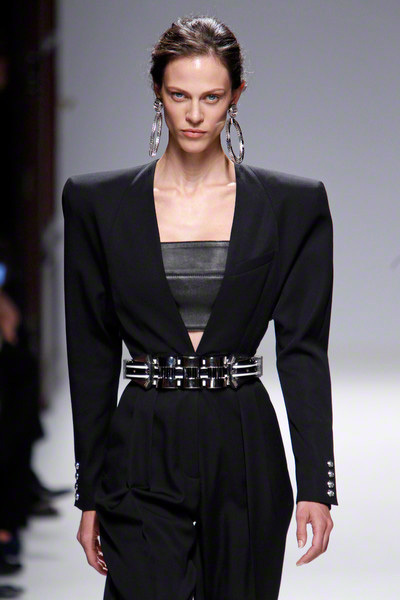 They didn’t scream as loud as some of the power designs, yet looked cool enough to be heard. 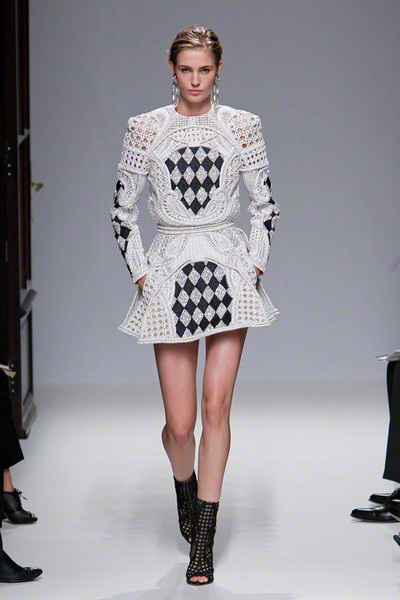 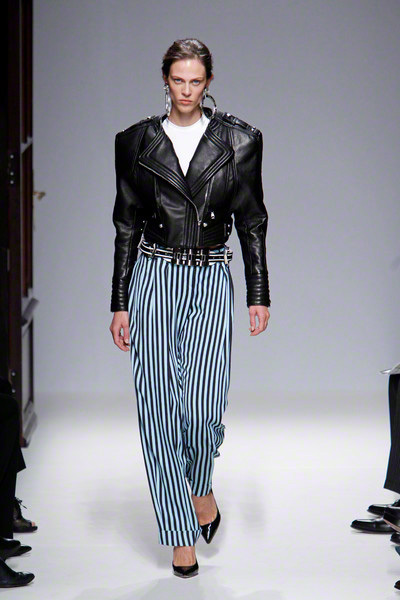 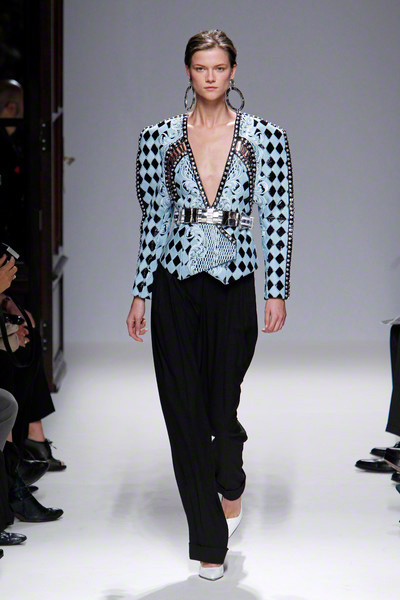 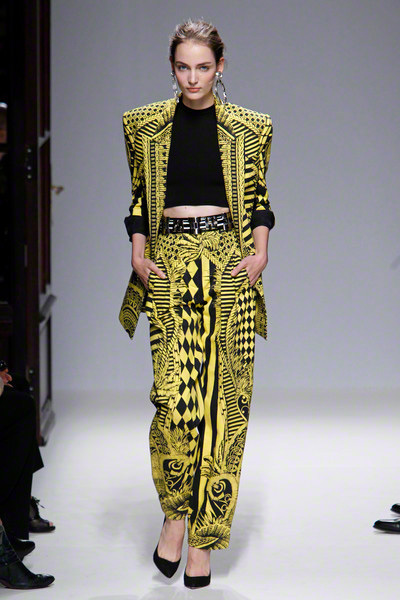 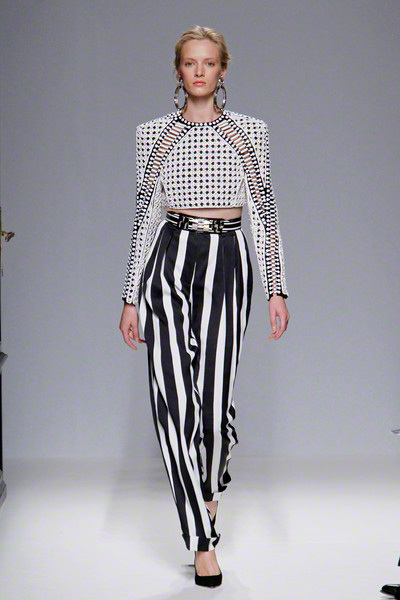 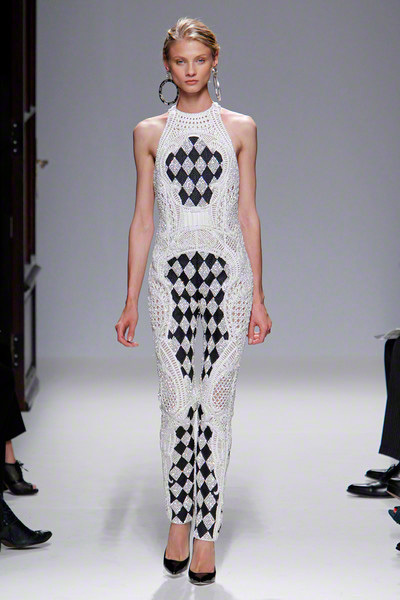 With harlequin motifs, stripes, strong shoulders and some very skilled craftsman Rousteing had all the right ingredients for a success collection. 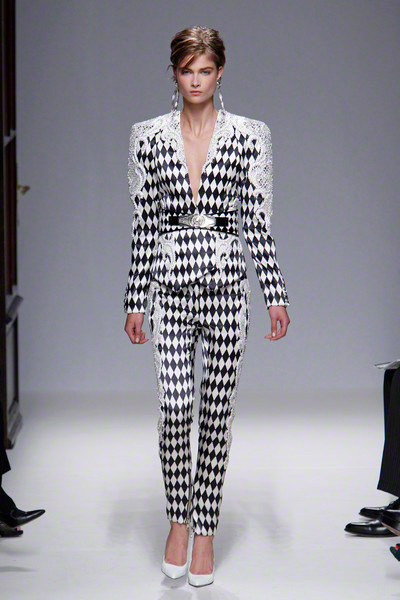 Yet if he had held back just a little, the impact would probably have been bigger.